Ever walked out the toilet at that swanky restaurant, and not realised that your skirt is tucked into your knickers? Or have you ever applied fake tan the night before a hot date and woken up to find you’ve turned orange? 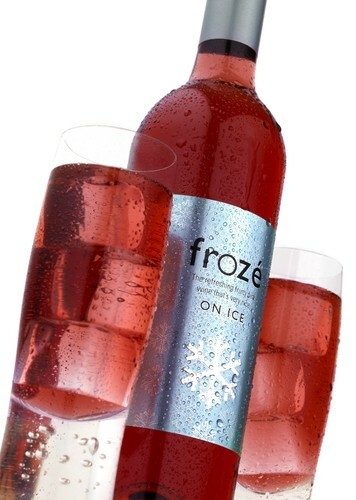 Embarrassing moments happen to us all and in honour of all those toe-curling incidents, Frozé is encouraging girls to get together and share their stories of shame over a glass of ice cold Frozé wine. This fun rosé is a light, fruity, summer drink best served on ice, and is a perfect accompaniment to those nights in with friends. To make sure we’re all prepared for the summer months, Frozé has put together a top ten of summer blushes and cringe-worthy moments. Share your blushes with friends over a glass of Frozé. This press release was distributed by ResponseSource Press Release Wire on behalf of Morris & Company in the following categories: Men's Interest, Leisure & Hobbies, Home & Garden, Women's Interest & Beauty, Food & Drink, for more information visit https://pressreleasewire.responsesource.com/about.